While King Leonidas and his 300 Spartans have their date with destiny at Thermopylae, another battle against the Persians is brewing, this time at sea. Themistocles (Sullivan Stapleton), a Greek general, sees the threat posed by the God-King Xerxes of Persia. He knows that he must unite all of Greece if he is to stand any chance of repelling the Persian invasion. Even if he accomplishes his mission, Themistocles must still face Artemisia (Eva Green), the ruthless leader of the Persian armada. 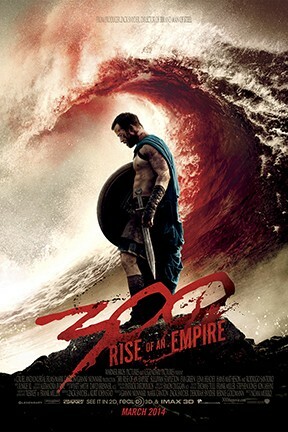 300: Rise of an Empire and 300: Rise of an Empire 3D are not showing in any theaters in the area.